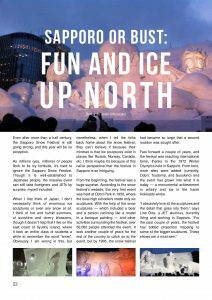 Even after more than a half century, the Sapporo Snow Festival is still going strong, and this year will be no exception. 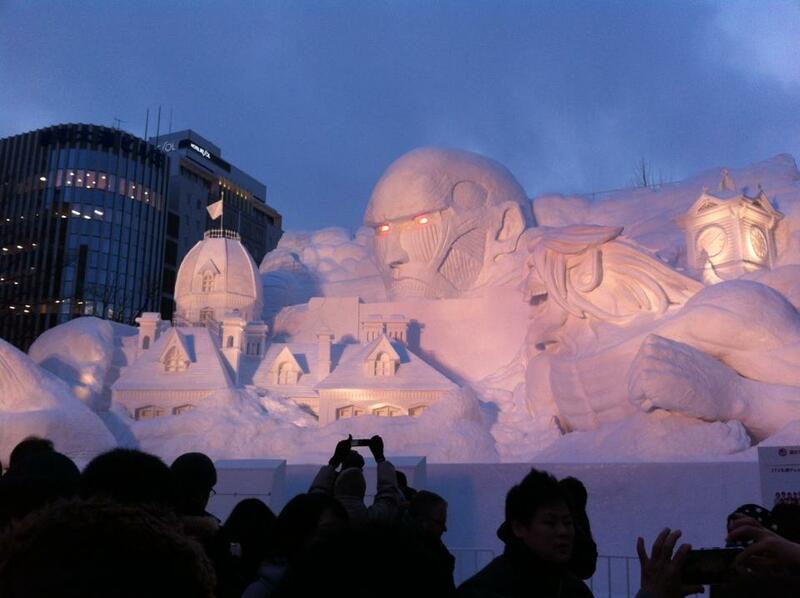 As millions (yes, millions) of people flock to its icy fortitude, it’s hard to ignore the Sapporo Snow Festival. Though it is well-established to Japanese people, the massive event can still take foreigners and JETs by surprise, myself included. 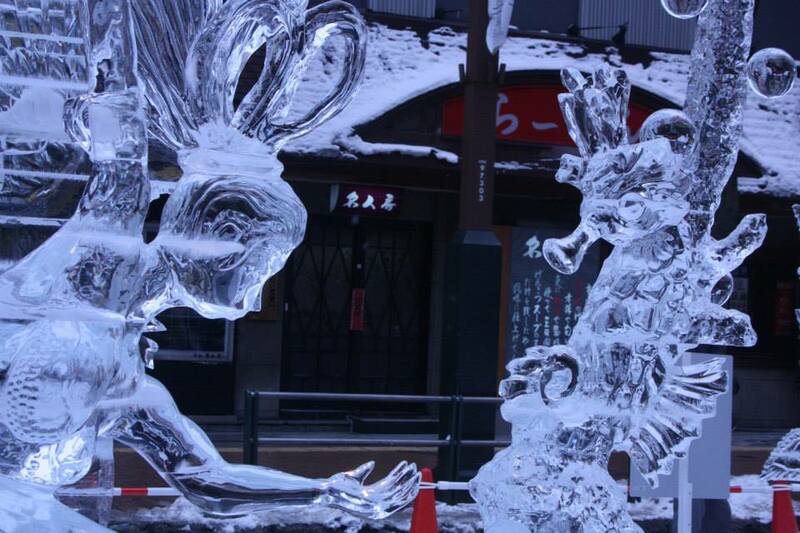 When I first think of Japan, I don’t necessarily think of enormous ice sculptures or even any snow at all. I think of hot and humid summers, of sunshine and cherry blossoms, though it doesn’t help that I live on the east coast of Kyushu island, where it took an entire class of students a while to remember the word “snow”. Obviously, I am wrong in this, but nonetheless, when I tell the folks back home about the snow festival, they can’t believe it because their mindset is that ice sculptures exist in places like Russia, Norway, Canada, etc. 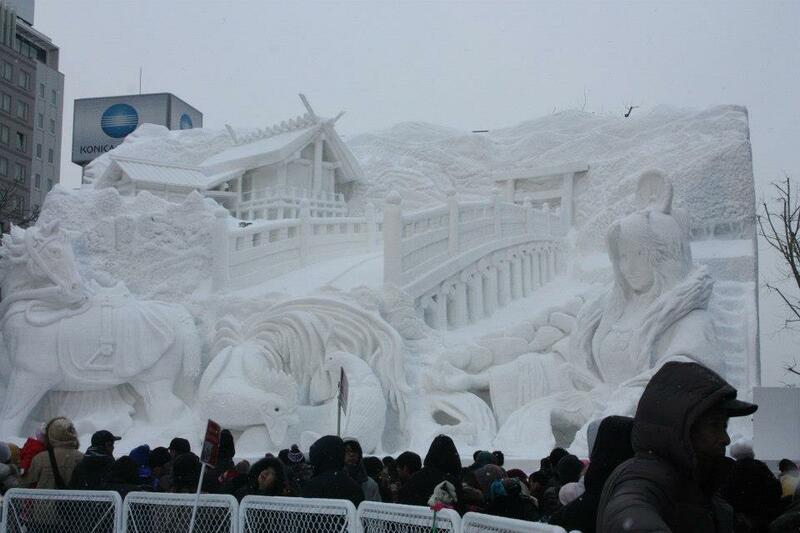 I think maybe it’s because of this naïve perspective that the festival in Sapporo is so intriguing. 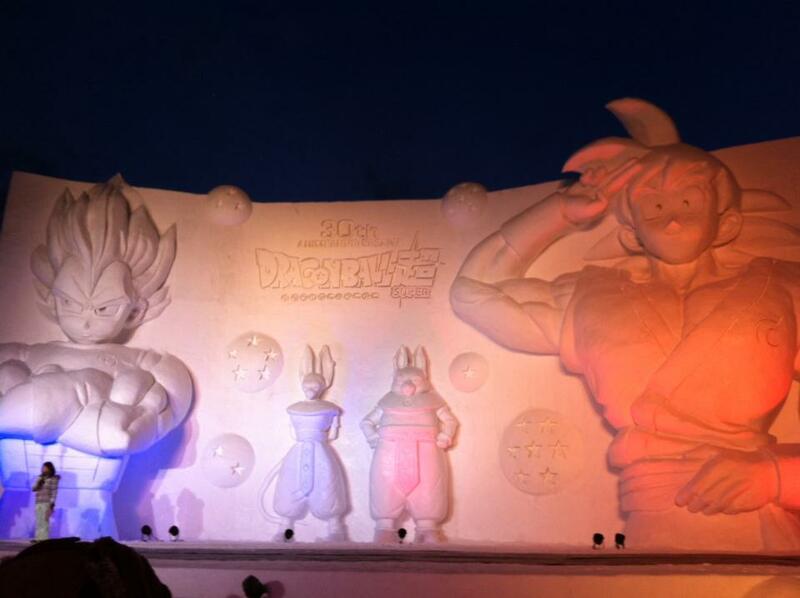 From the beginning, the festival was a huge surprise. 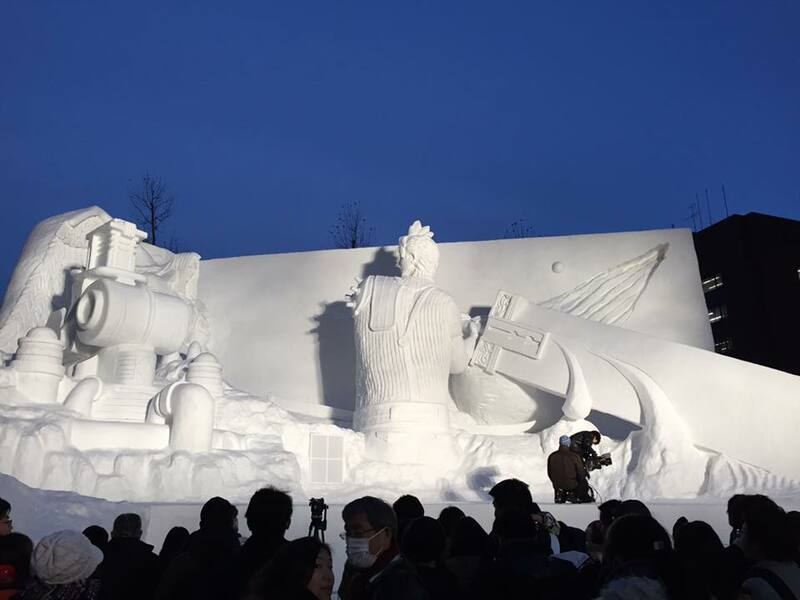 According to the snow festival’s website, the very first event was held at Odori Park in 1950, where the local high schoolers made only six sculptures. 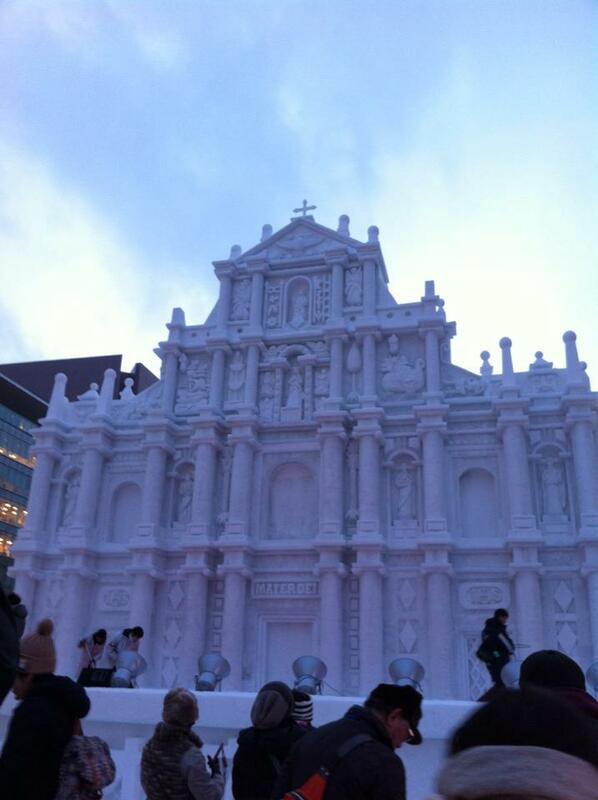 With the help of the snow sculptures — which included a bear and a person reclining like a model in a baroque painting — and other activities surrounding the festival, over 50,000 people attended the event. 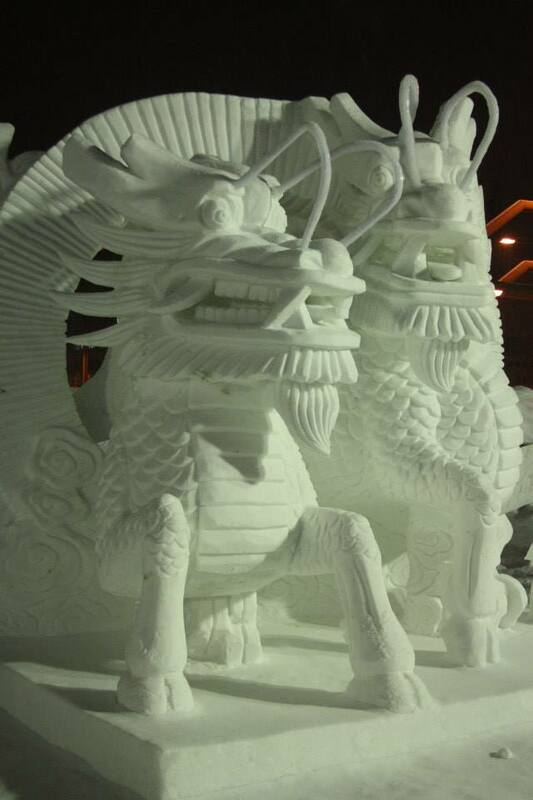 It took another couple of years for the rest of the country to catch on to the event, but by 1965, the snow festival had become so large that a second location was sought after. Fast forward a couple of years, and the festival was reaching international fame, thanks to the 1972 Winter Olympics held in Sapporo. 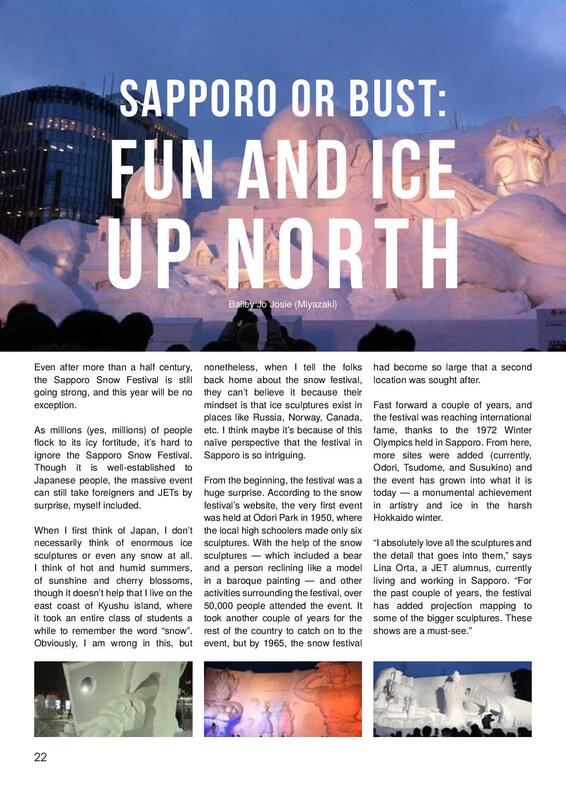 From here, more sites were added (currently, Odori, Tsudome, and Susukino) and the event has grown into what it is today — a monumental achievement in artistry and ice in the harsh Hokkaido winter. Though I haven’t had the pleasure of attending the festival, I would like to see it in the next few years. 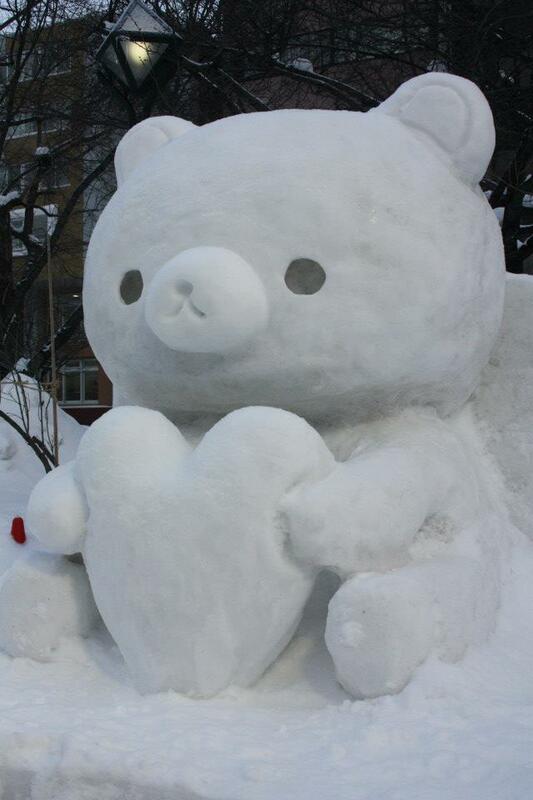 As I said, I live on Kyushu island, so plane tickets to Hokkaido can be very expensive for me, especially since I would have to pay for two tickets (can’t just go have fun in the snow without the husband, you know?) 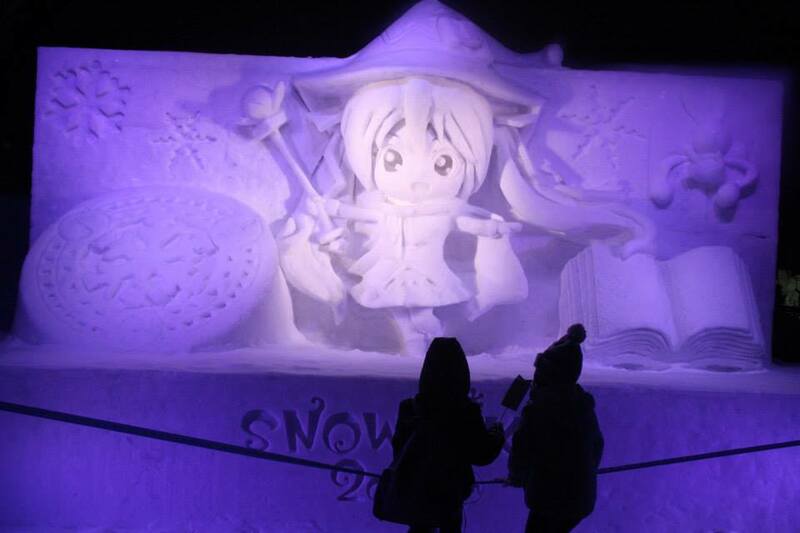 I can find cheap tickets through Google Flights that are below 30,000 yen per person, but that can be a lot if you don’t plan properly, and planning is needed when you consider that the Sapporo Snow Festival lasts 12 days with a ton of things to do. Like what, you ask? 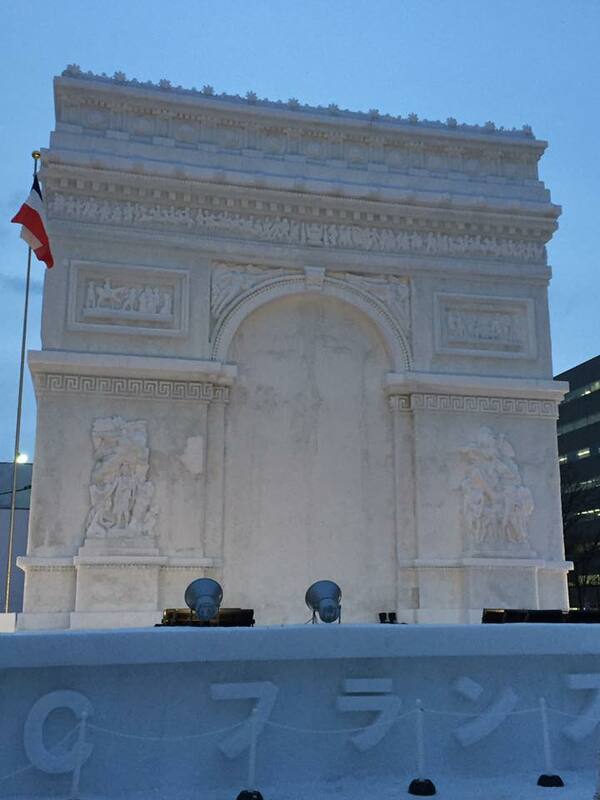 Well, at the original Odori site, there will be a skating rink, a jumping platform for amateur and professional skiers and snowboarders, food vendors, and the chance to marvel at 118 different sculptures. 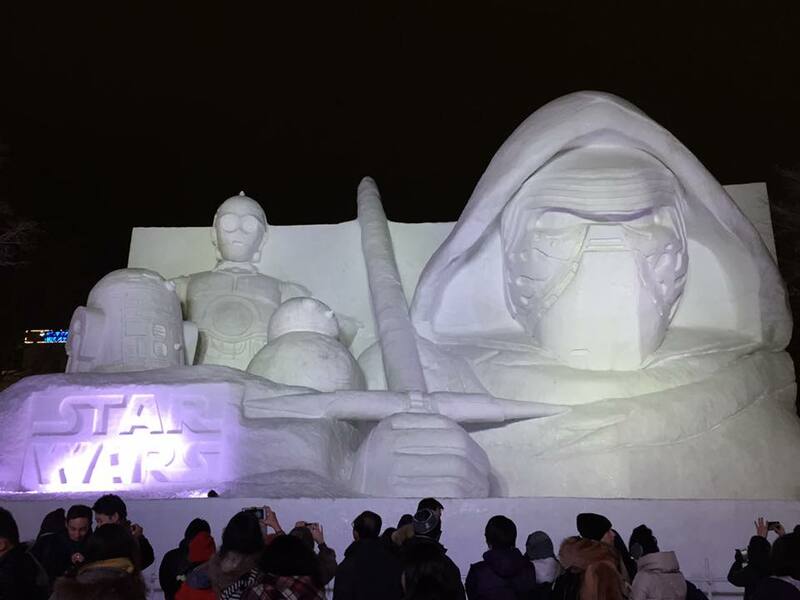 Not only will there be Japanese sculpting teams, but teams from all over the world who participate in the festival; another great reason for JETs to make their way to the event. 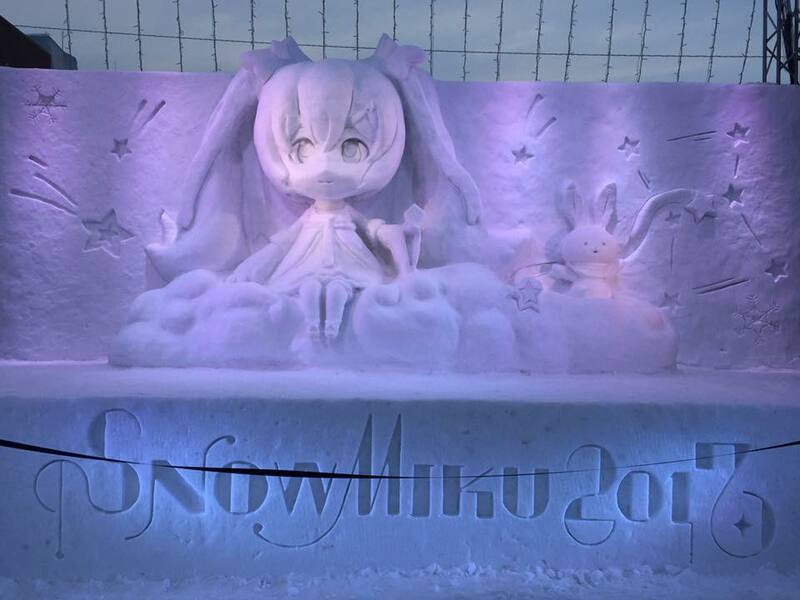 At the Tsudome site, there will be a snow slide, where people can ride inner tubes down a large, snowy hill; a spot for “snow rafting”, which is when you ride in a rubber raft that is pulled by a snowmobile; a sled run; a spot to play a hybrid game of soccer and golf — named “Mini Snow Foot Golf”; a snow labyrinth, and many more events. 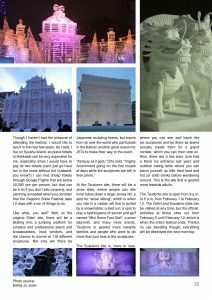 Tsudome is geared more towards families and people who want to do more than just look at the sculptures. 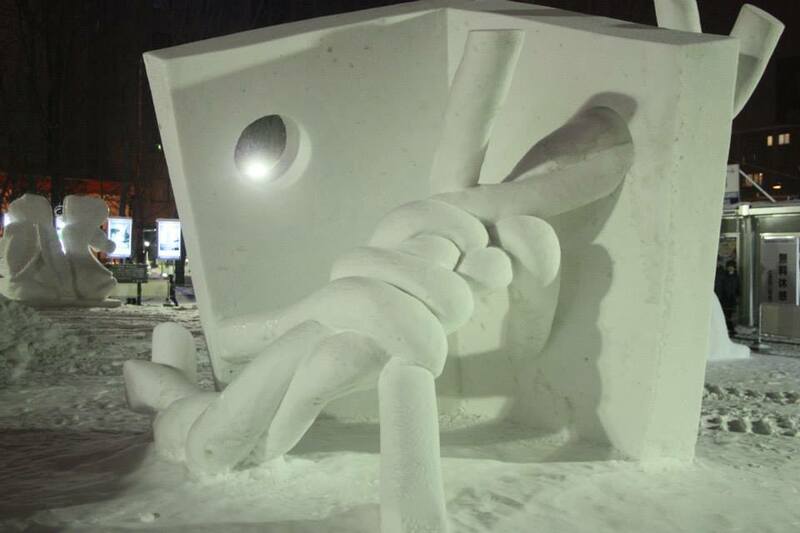 The Susukino site is, more or less, where you can see and touch the ice sculptures and be there as teams actually create them for a grand contest, which you can then vote on. Also, there are a few bars (one had an literal ice entrance last year) and outdoor eating tents where you can warm yourself up with fried food and hot (or cold) drinks before wandering around. This is the site that is geared more towards adults. The Tsudome site is open from 9 a.m. to 5 p.m. from February 1 to February 12. 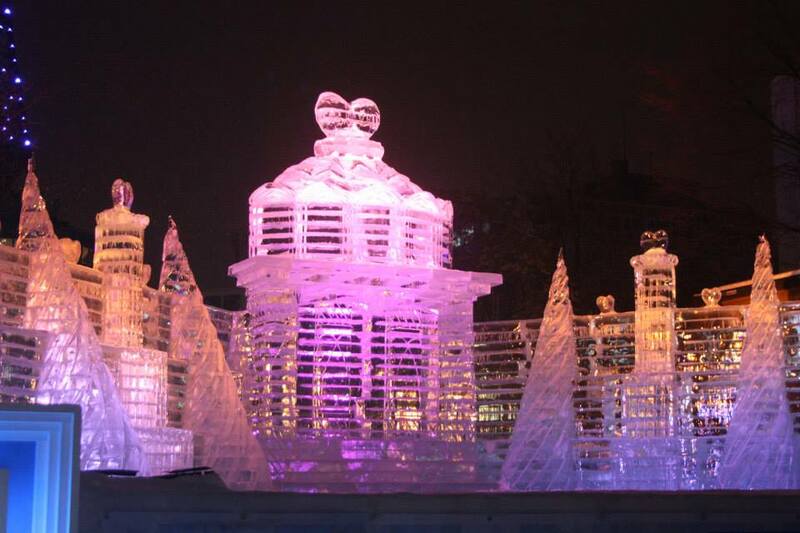 The Odori and Susukino sites can be visited at any time, but the official activities at these sites run from February 5 until February 12, which is when the entire festival ends. There’s no use dawdling though; everything will be destroyed the next morning.